When shopping in the mall, most of the time we can not directly see the product, often see the package first, food is even more so. 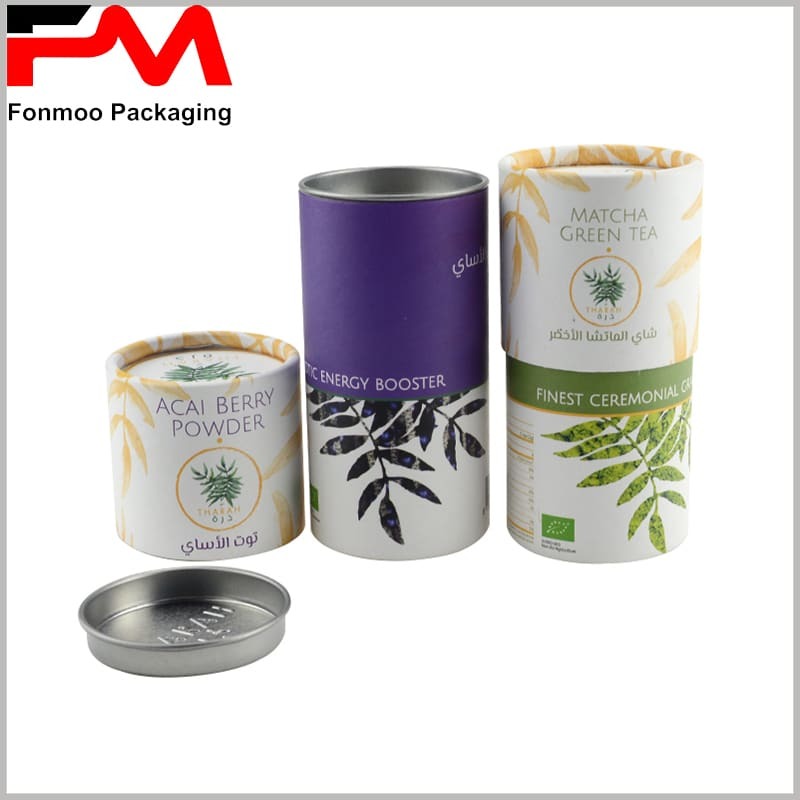 In order to ensure the safety of food and to avoid oxidation and other pollution of food, we need to put it into the package. 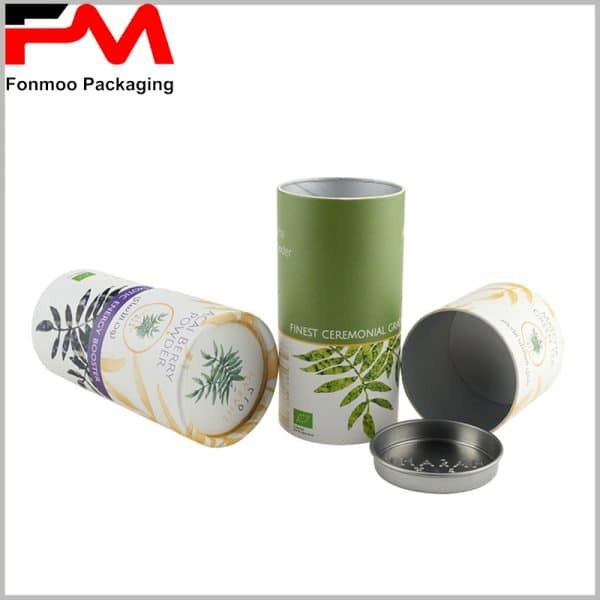 Therefore, the first thing we see is packaging, not food; and we will use packaging to understand the characteristics of the internal products. 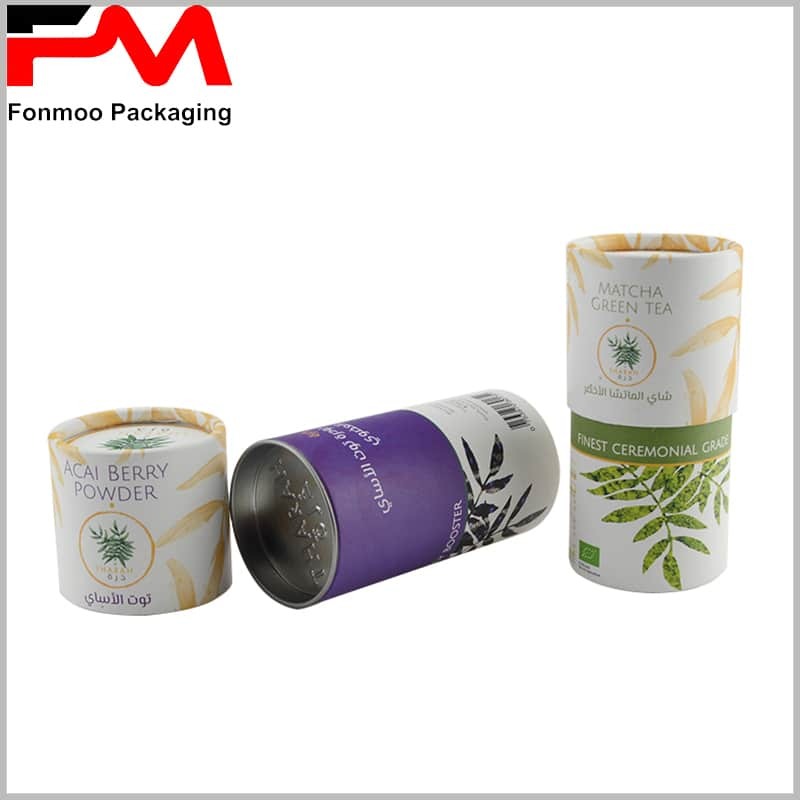 Using CMYK printing, the content of cardboard tube food packaging will be rich, and it will be able to convey product features and brand stories to consumers. 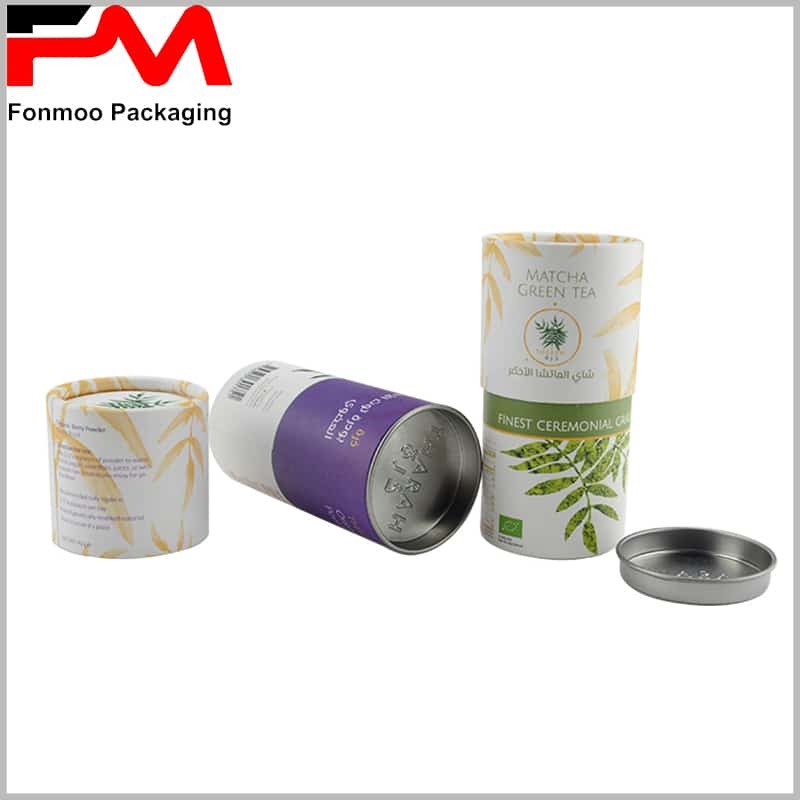 Using 350g of cardboard as a raw material, the packaging is environmentally friendly and recyclable, reducing damage to the earth. The use of leaves as the main element of packaging design has a great help in highlighting the naturalness and safety of food. There are many colors and contents of the package, but it does not increase the cost. CMYK printing can shape any graphics and content, helping to better reflect the content to consumers. For the tube cover, a paper tube cover, a metal cover or a plastic cover can be selected. Acai berry powder, tea, candy, etc. can be packed in cardboard tubes. 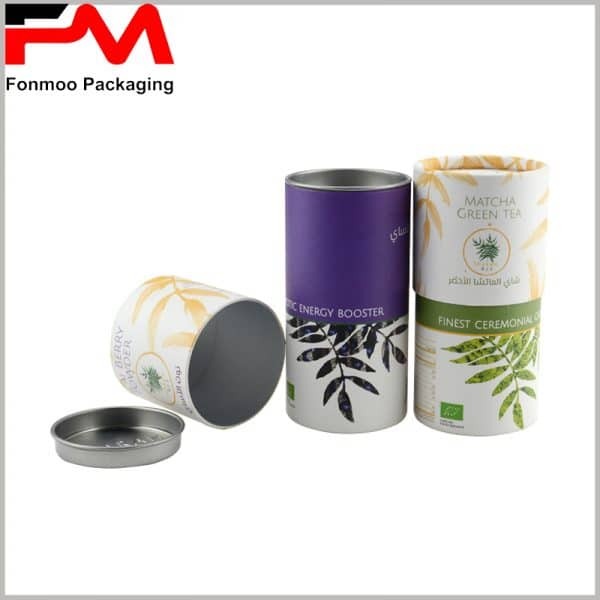 Follow up with different products, choose the right printing style, packaging size. 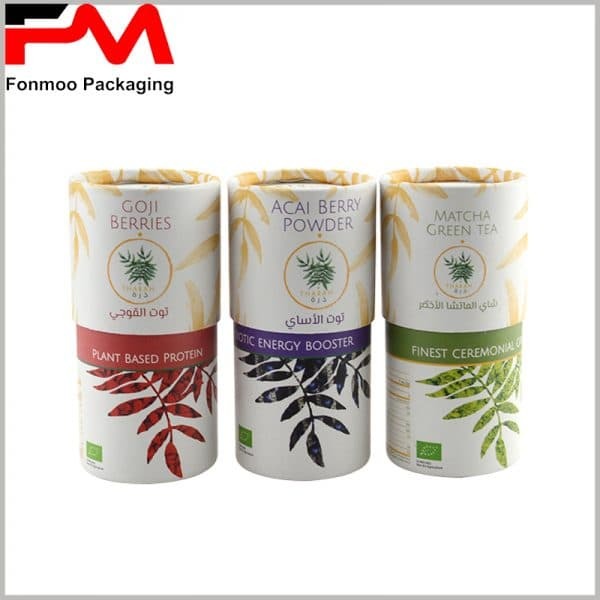 We can provide you with a custom packaging solution free of charge, ready to provide you with the best service.